법천사터에 세워져 있는 지광국사(984∼1067)의 탑비로, 국사가 고려 문종 24년(1070)에 이 절에서 입적하자 그 공적을 추모하기 위해 사리탑인 지광국사탑과 함께 이 비를 세워놓았다. 지광국사탑은 현재 국립문화재연구소에서 보수중이며 탑비만이 옛 자리를 지키고 있다. 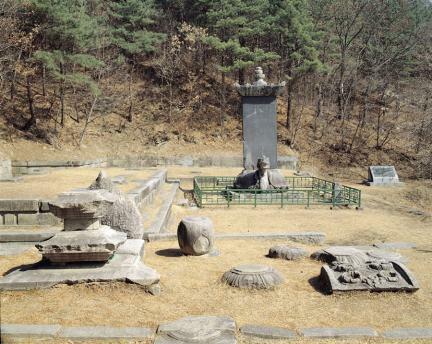 비는 거북받침돌 위로 비몸돌을 세우고 왕관 모양의 머릿돌을 올린 모습이다. 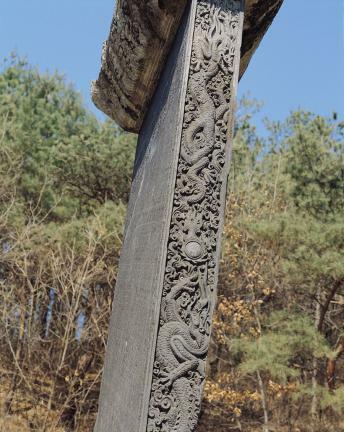 거북은 목을 곧게 세우고 입을 벌린 채 앞을 바라보고 있는데, 얼굴은 거북이라기보다 용의 얼굴에 가까운 형상으로, 턱 밑에는 길다란 수염이 달려 있고 눈을 부릅뜨고 있다. 독특한 무늬가 돋보이는 등껍질은 여러 개의 사각형으로 면을 나눈 후 그 안에 왕(王)자를 새겨 장식하였다. 비몸돌에서 눈에 띄는 것은 양 옆면에 새겨진 화려한 조각인데, 구름과 어우러진 두 마리의 용이 정교하고도 사실적으로 표현되어 있다. 머릿돌은 네 귀가 바짝 들려진 채로 귀꽃을 달고 있는데, 그 중심에 3단으로 이루어진 연꽃무늬 조각을 얹어 놓아 꾸밈을 더하고 있다. 비문에는 지광국사가 불교에 입문해서 목숨을 다할 때까지의 행장과 공적을 추모하는 글이 새겨져 있다. 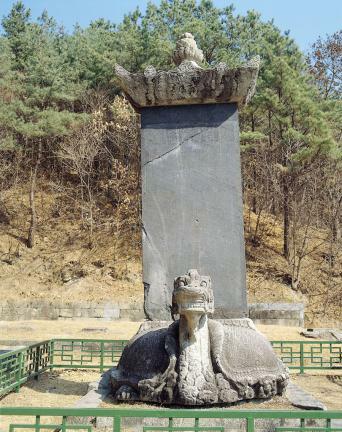 비문은 정유산(鄭惟産)이 짓고, 글씨는 안민후(安民厚)가 중국의 구양순체를 기본으로 삼아 부드러운 필체로 썼다. 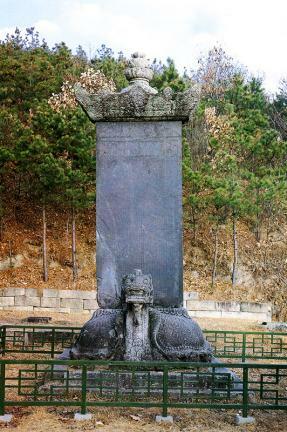 The stele erected to mark the stupa enshrining the relics of the State Preceptor (984-1067) is located at the site where a Buddhist temple named Beopcheonsa had existed. 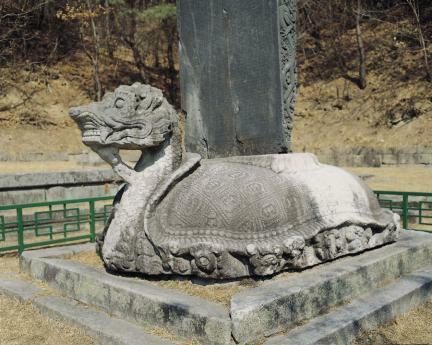 The preceptor’s reliquary stupa has been moved to the National Palace Museum of Korea. 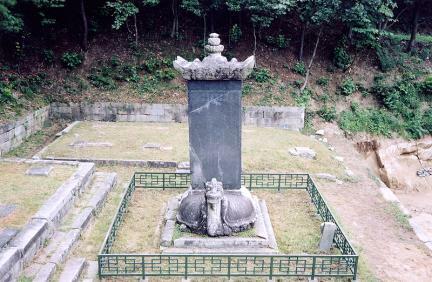 The stele is put on a tortoise-shaped pedestal and covered with a capstone resembling a crown. 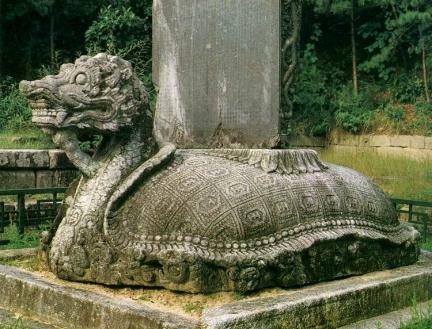 The tortoise forming the pedestal features the head of a dragon rather than a tortoise with bulging, wide open eyes, wide open mouth, and long beard. 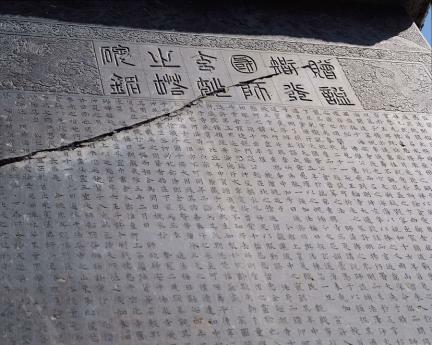 The shell of the tortoise is carved with many squares each containing the Chinese character Wang (meaning “king”). 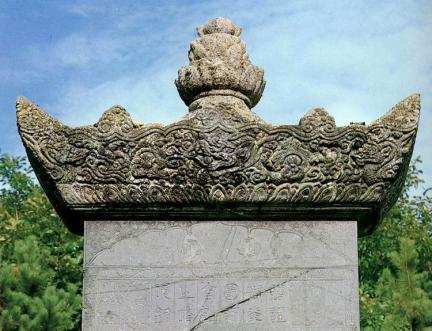 The body of the stele carries, in addition to the inscription honoring the monk, two dragons flying between clouds engraved in a detailed, realistic manner on both sides. 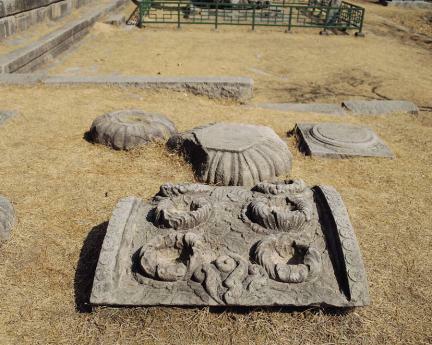 The capstone has elaborately carved “corner flowers” and three lotus blossoms located between every two. 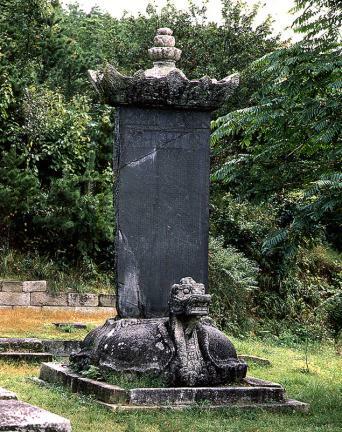 The epitaph of the stele commemorates the life and achievement of State Preceptor Jigwang as a Buddhist leader. 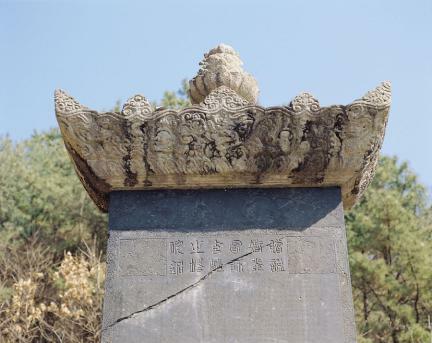 The text was composed by Jeong Yu-san (?-1091) and calligraphed by An Min-hu based on the style developed by great Chinese calligrapher Ouyang Xu (d. 618).